It's time for the weekly challenge here on The Rubber Cafe Blog. After a solid week of rain we are having some beautiful Spring Weather out here in California so I thought that it would be fun to challenge you to make cards using some beautiful Spring flowers! I hope you'll join us for this weeks Spring Flower challenge! *NOTE: Please enter only one card each week! The Rubber Cafe team has been busy all week getting ready to head to Vegas for the scrapbook and rubber stamp show. Melissa will be doing a great make-n-take and a fun demo using our Glots. While we were working, I took a vote, what stamp would you like to see a sample of and what color? Their choice: Floral Fancy and lavender. So...I promptly went home late into the night and played around till I was happy. 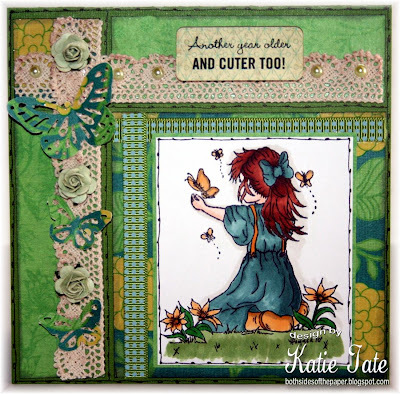 I embossed the background with cuttlebug birds and swirls to go along with our challenge this week, embossing. 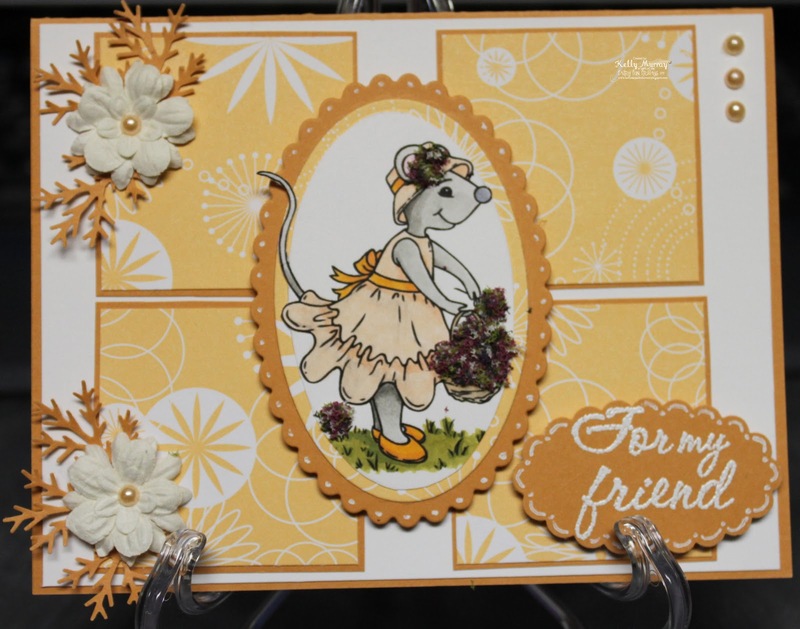 I added the bow and pearl Jelly Dots to finish off the card in style. This stamp also makes great stemps for any small flower. Here I've used a little daisy punch and added a purple Jelly Dot to each center...Great for a nice spring garden. Here are some other great cards (and wall hanging) that were entered. Congrats Scrappy. Email me at smiles4126@aol.com with your contact information. Don't forget to check out tomorrows post for an all new challenge. Have a great week! 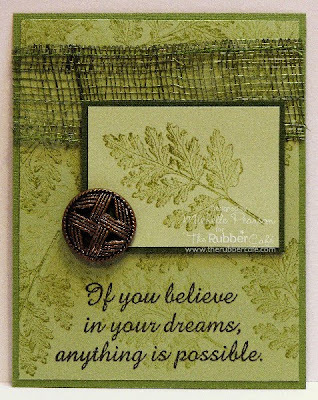 This weeks challenge has been to use embossing on your project. Here I used a cuttle bug folder with a birthday theme and highlighted it with a colored ink. Happy Birthday stamp from the Hey Cupcake set, I distessed the edges of the white cardstock with pink ink and added three green gems. I hope you have been following our weekly challenges, check in every Thursday for the new one. Be sure to play along and get your chance to win a prize. 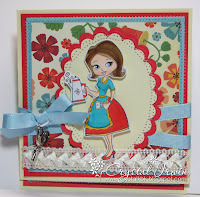 Embossing is such a fun technique....and this one is a fun one from my archives. My card is a white base. The next layer is a double-cuttlebugged layer. I'm sure this is on the net somewhere...but I've never seen it anywhere and I came up with it the other night and have really enjoyed working with it! 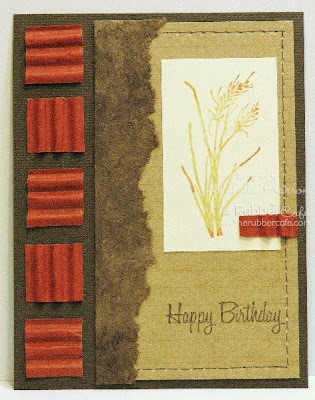 I ran it through a Cuttlebug Script embossing folder first and then through the Cuttlebug Leafy Branch embossing folder. The white cardstock strip has been pierced and then scored on the Scor-pal every quarter inch for interest. I did valleys down on this card, but I think I'd like valleys up as well. 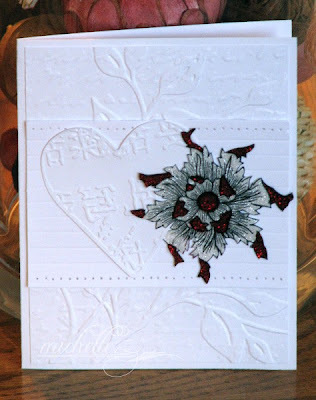 The white heart is a Cuttlebug die cut that has been run through one of the coordinating Heart Embossing Folder. The stamp is the Exotic Flower from The Rubber Cafe. I stamped it on acetate with Stazon ink. I glittered it with Cranberry and White Pearl glitters. The red is really pretty in real life...it's a rich cranberry color. I cut out the flower when it was dry and attached it to the card with mini-glue dots. Well I am a little late with my blog post today (sorry) its been a little hectic . The phone just would not stop ringing . We are prepping for a Class this week-end at STAMPING DETAILS and it is one of my favorite stores ... they have everything there and great service. We teach there once every quarter our RUBBER CAFE card buffet and we always have a blast. There will be prize drawings throughout the day for participants. What is a Card Buffet ? A card buffet is set up in stations so you can move around and create the cards that you would like to. You will have the option to choose between 8 cards .... you get to make four of them for $12.00. Here is a sample of some of the cards that you can pick from . Welcome to another great Rubber Cafe Challenge! 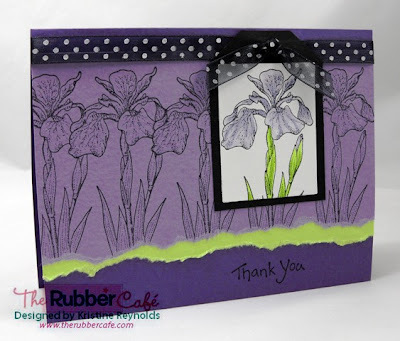 This weeks Rubber Cafe challenge is embossing. When I first started stamping years ago I thought embossing was the most fascinating, fun technique! As the years have passed I've gotten away from it so it was fun to do for this challenge. 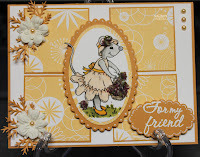 For the challenge you can do wet or dry embossing and I decided to do both on this card! 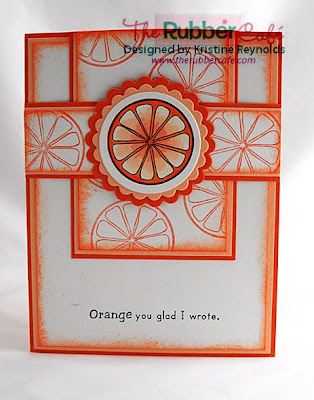 I used a Cuttlebug embossing folder to emboss the left side of the card. For the background I stamped the words in Peeled Paint distress ink. Then I randomly stamped the butterfly and clock with Versafine ink and embossed with clear embossing powder. 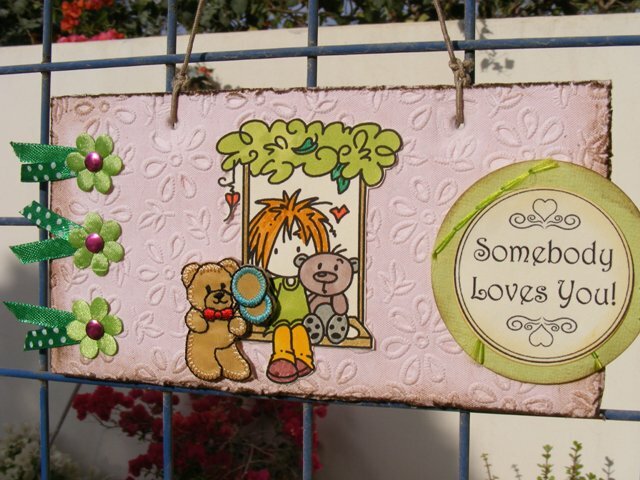 Then I sponged on Shabby Sutters distress ink which made the embossed images "pop". The card image was embossed with bronze embossing powder. I hope you'll join us for this weeks embossing challenge! Happy Wednesday. Here's hoping somebody makes you smile today. Thinking of how the Rubber Cafe is growing and growing really makes me smile. There is so much to do and so little time to get it all done. Last week...with all that had to be done...we missed the random draw. Don't worry...today I've included last weeks along with this weeks. On the outside I used g.c.d. Studios paper and die cut a circle to frame a smaller circle window in the base card. Stamped my fabulous phrase and framed it with fleurididy 1 for the inside of the card. All stamps used on this blog can be found at The Rubber Cafe. Thank you for all the wonderful cards. For our winners...please email me at smiles4126@aol.com with your contact information to recieve your prize. Visit us on Thursday for a new challenge each week. Hi folks! I have a monochromatic birthday card today. I got home late from work, so the daylight photographing I had planned did not happen. So sorry for bad photo! Stamps are from the Hey Cupcake! Set. Hope you want to play along this week! All info about the monochromatic challenge can be found HERE! 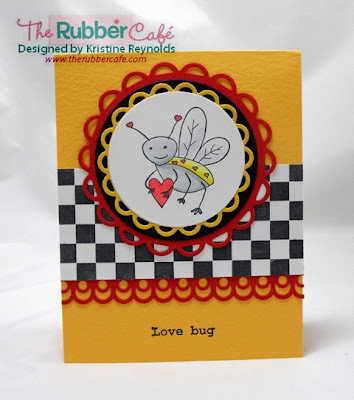 The Rubber Cafe challenge this week is to make a monochromatic card. I chose to use the Large Herbal Leaf image for my card. For the background paper I used the generation stamping technique. I stamped the image and then stamped it once more before reinking. Sentiment is Anything is Possible. 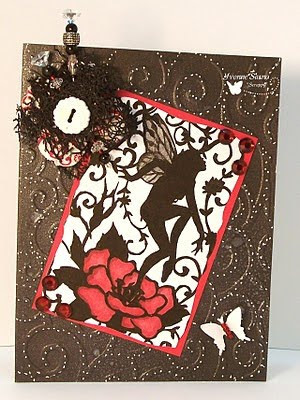 I used an assortment of coordinating Bazzil cardstock for my monochromatic inspiration. The button is vintage. The natural mesh is a perfect match. 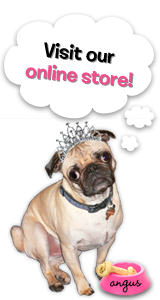 There is a $10 gift certificate for The Rubber Cafe store up for grabs. Come and play and good luck!! Hi All!!! Here is my monochromatic card for our challenge this week. 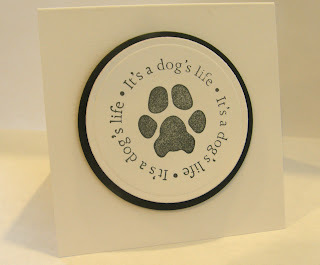 I used the stamp Its a dogs life and as you can see, simply cut it out with circle nesties and mounted it onto a black larger circle. Please come and join us and play along with the Monochromatic Challenge this week. The title of this post comes from what my whole week has been like. We sent the first crew off to a show is Pleasanton Ca (Scrapbook Expo.com) this week-end and I am heading to Carson Ca (Astampinthehand.com) for a rubber stamp show . There is a lot of work that goes in to each show ... and a ton of sleepless nights . I was busy creating sample boards last night and making a cute little project that is not quite finished she is still a work in progress. We will have more on this technique to make the rosettes later next week. As you can see its a beautiful San Diego day here ... I hope that you are all getting some signs of spring. The next little treasure that I have to show you is this beautiful box that was made for me .... using an old cigar box and paper clay this is stunning . Thursday means another challenge for The Rubber Cafe design team and all of you too! We are so happy to see so many new people participating each week! This weeks challenge is to make a monochromatic card/project. 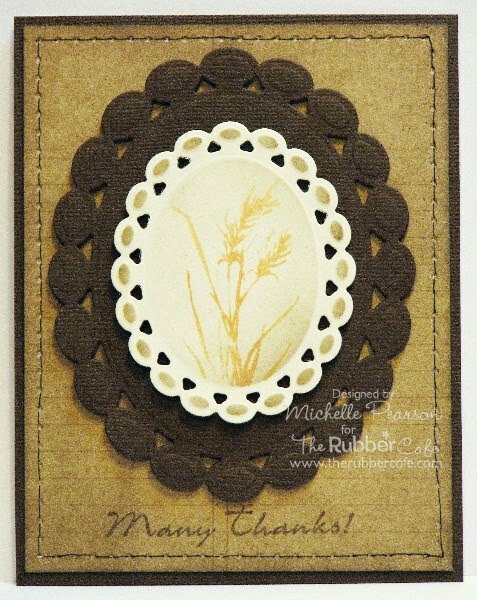 I hope you'll make a monochromatic card for this weeks Rubber Cafe Challenge too! This week’s challenge is a tough one. To choose ones favorite Spellbinder. But how am one to choose??? Love them all!!! I finally decided to use one of my favorites that is not used that often. It’s from the Fancy Tags set. I used some lovely DeLovely Cosmo Cricket papers and my favorite stamp, the Large Paisley Dragonfly. The sentiment is from the Give Momma Some Love set. Hope you want to play with us and your favorite nestie. All info about the challenge can be found HERE. 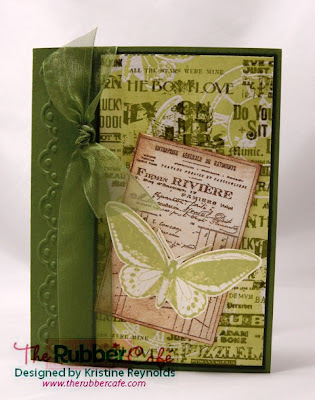 This week's challenge at The Rubber Cafe is to use our favorite Spellbinder's Die. Well...I don't have a one that isn't my favorite!! I chose one that I haven't used much yet...the Beaded Oval die. 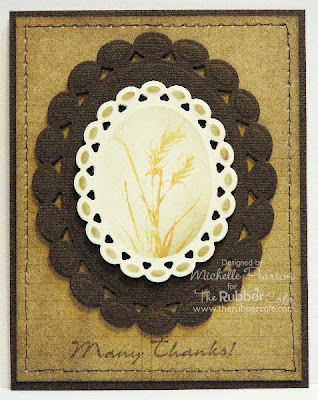 For the smaller die panel, I distressed the oval with Frayed Burlap distress ink. For the beads around the outside of the oval I used Walnut Stain distress ink. For the Yellow Foxtail, I put some Scattered Straw and Rusty Hinge distress ink on my craft sheet and spritzed it with a sheer shimmer spray. I inked my stamp up in this puddle and stamped for a watercolored effect with a slight shimmer! Many thanks is stamped in walnut stain ink. Here is one more...for this one I just inked the image with Scattered Straw ink and did the rock and roll technique to hit the edges of the image with Rusty Hinge ink. This gives a more crisp and brilliant image. I cut tiles from some orange corrugated paper that I've had in my stash for probably 15 years! I used the scrap I had left as a design element on my image...it reminded me of one of those wide staples you sometimes see. Happy Birthday comes from the Fruit Medley set and is stamped in Walnut Stain ink. The torn piece is a piece of bark paper that has also been in my stash for 15 years! Obviously I'm not one of those people who purge my stash often....I do know what I have...and I get a kick out of it when I find something and use it up! Go me!! What is YOUR favorite Spellbinders die?! Okay, If you were here earlier today you saw my message that I was running a bit behind with my Saturday post. I finally had a chance to take my picture and post my Die Cut Card for this weeks challenge. I chose my oval and scallop ovals because they were some of the first sets that I purchased and still love to this day. For todays card I used the adorable Bubblegum Machine image, colored it with my copics and then cut it out with my ovals. My dp is Echo Park and the ribbon and brads I used were from my stash. Please join us for the challenge this week. We love to see what you create!!! Thanks so much for stopping by and forgiving me for my tardiness!!! Have a great weekend. For those of you that do not know we are now a partner company with Spellbinders and we have started creating some stamp sets that coordinate with their dies ... 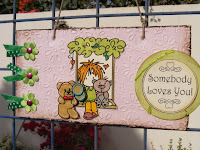 I have had a love for their dies since they started and I saw them at a scrapbook show several years ago. I have the original machine and tons and tons of dies . The Challenge this week is what is your favorite die ... I will have to say that the one that I use the most is the Nested Circles and the Scalloped Circles ... I use them more that anything . The best part about the Spellbinders dies is that you can layer the shapes . The first card I have to show you is a layout that I used from a card challenge somewhere . I have to say my favorite set that we have released so far this year I use it on everything not all the cards that I do are Vintage but I can use those background stamps on just about everything even if its cute stuff . Floral Fancy is a new set that will fit the New Spellbinders die Lattice Rectangle ... Its not available yet we are patiently waiting this is a really great set and so beautiful and elegant. Thanks to all of you who joined us for last weeks Sewing challenge. We just loved seeing all of your creative designs! This weeks challenge is an easy peazy one! We are challenging you to use your favorite die on your card...which let's face it...you would probably do anyway, huh? But if you are like me...the real challenge is in choosing just one favorite!!! As you can see I am still having fun with "Love Bugs"! It was hard to decide on my favorite die. 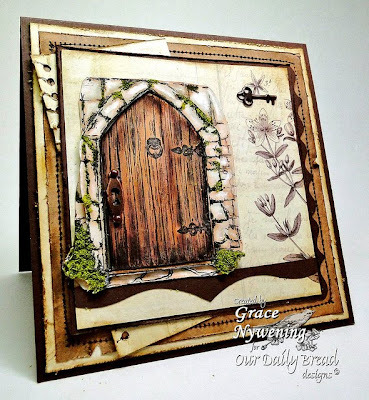 I have a huge collection of Spellbinders Dies and I LOVE them all but I settled on my latest nestabilities set, "
I hope you'll join us for this weeks "Favorite Die" challenge! Last week we were showing you all sorts of fun folds. We had a lot of great responses to our challenge. In the past we've shared projects and tutorials on how we did them. 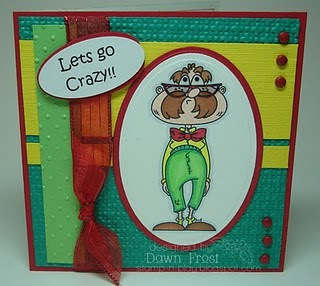 On Friday I shared the twisted easel card, but didn't quite have time for the tutorial. So...today I'm sharing the tutorial. Don't forget to check the end of the post for our weekly random winner. If you participated in the challenge and linked to Mr. Linky...you'll have a chance at a great prize. If you didn't get a change to play this week...check the next challenge tomorrow to play for another great prize. For the double you’ll start off what a square sheet of paper. I’m using 8 ½" x 8 ½". Score at the half way point and turn, score again at the half way point. In this case, I scored at 4 ¼" in both directions. On one side, cut down your score line just to the first score line. Score from the outside corner to the center on each of the cut sections. Fold all of your score lines. Use your score tool as a bone folder and run across your score lines to get a good crease. A sharp score line with help the easel keep shape. For the single I started off with an 8 ½" x 4 ½" piece of cardstock and lined the cardstock to 8 ½" and scored at 4 ¼" and then scored again from left outside corner to the right middle corner. Fold all score lines the sharpen the creases to hold the easel form. The rest is all personal taste. I used the Be Stylish set along with fleurididy 1. I stamped the corset then stamped it again in the same color. Cut out the top and popped it up. The bottom of the corset is just ribbon that had been pulled to give it a ruffle. I stamped fleurididy 1 in deep lagoon versafine ink. Because this week’s challenge is to do a little sewing…I added just a touch of sewing to each side of the corset. I think I should stick to faux sewing next time. The sentiment from Be Stylish is popped up to hold open the easel. Happy glue, I glued the inside down and added Teal Jelly Dots to finish them off with a little glitz. This weeks winner for a wonderful gift certificate from The Rubber Cafe is Katie Tate. Congratulations Katie. Hop on over to The Rubber Cafe and leave us your contact information.